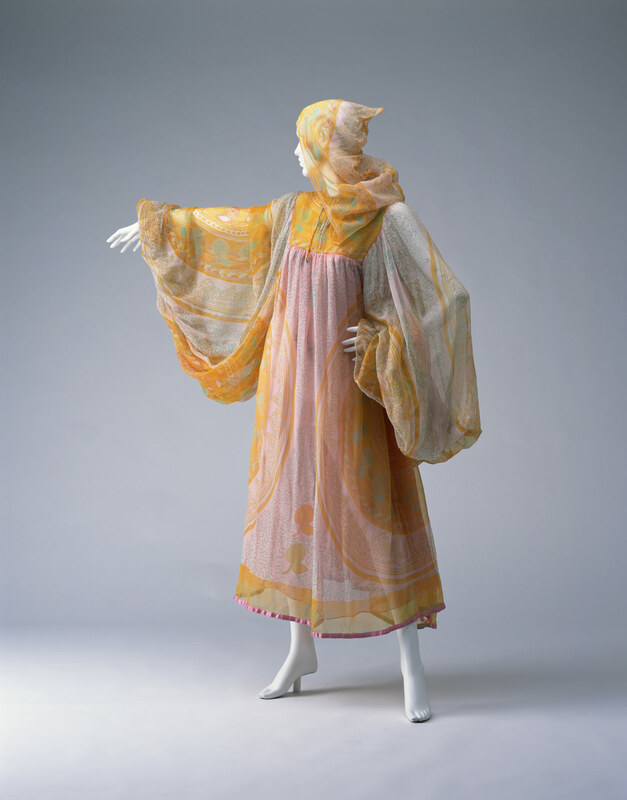 Silk chiffon crepe printed in chain-stitch and wave patterns in pink, green, and yellow; one-piece dress with a hood; bishop sleeves; lined with pink silk chiffon crepe. 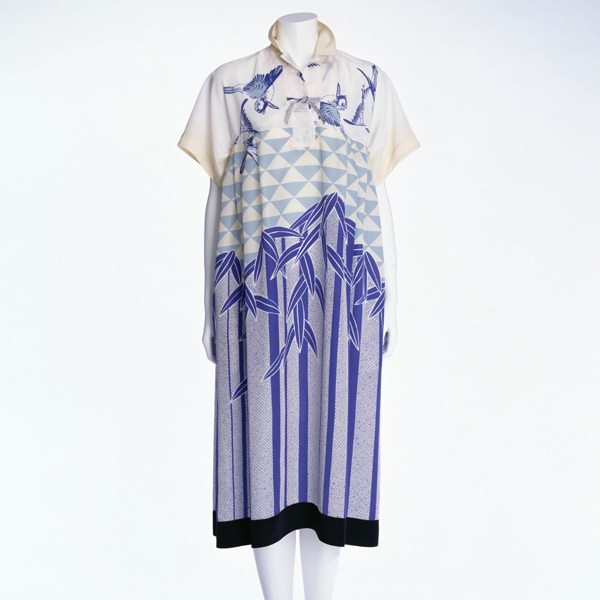 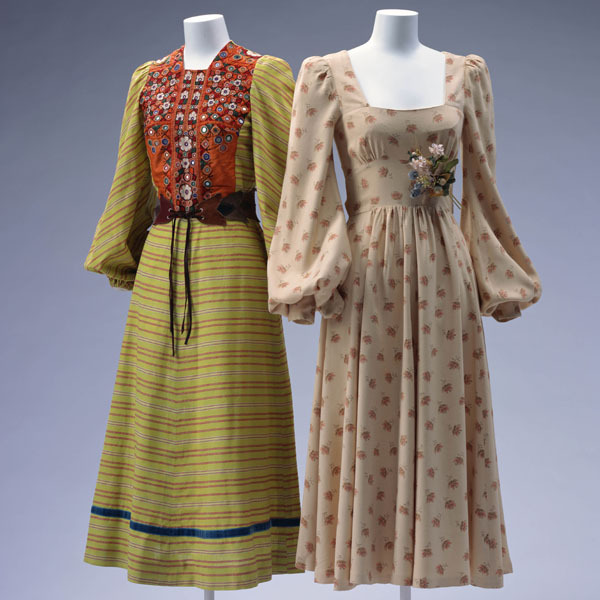 The dress with a multi-colored psychedelic print is one of Zandra Rhodes' characteristic works from her early days, led the hippie style or the psychedelic fashion around 1970. 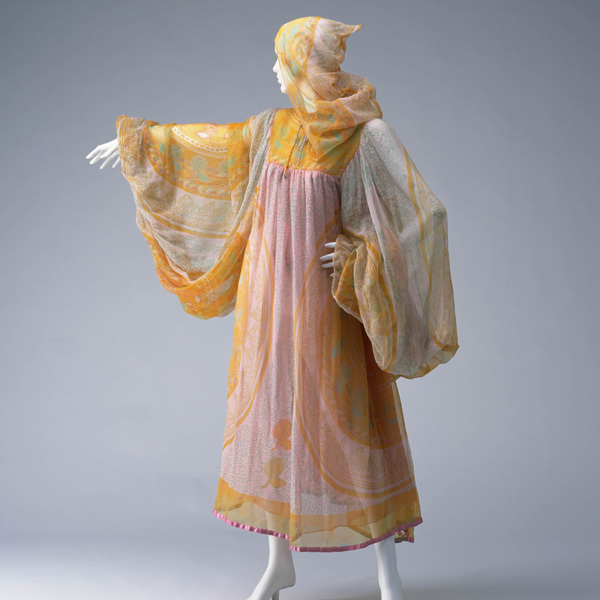 After graduating from the Royal College of Art in London, Zandra Rhodes started her career as a textile designer. 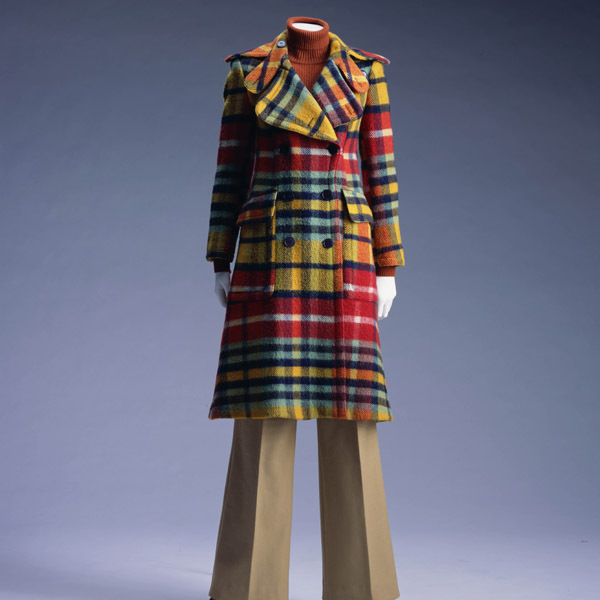 In 1967 she opened a boutique in London. 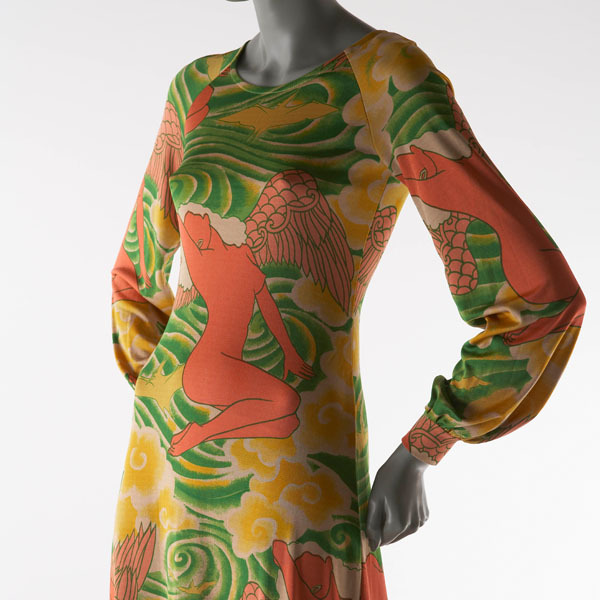 Utilizing print designs created by her extraordinary imagination and the wild color sense associated with psychedelic art of those days, she produced works that were highly appreciated by the people all over the world, triggered by the spotlight focused on her in the U.S. from the end of the 1960s. 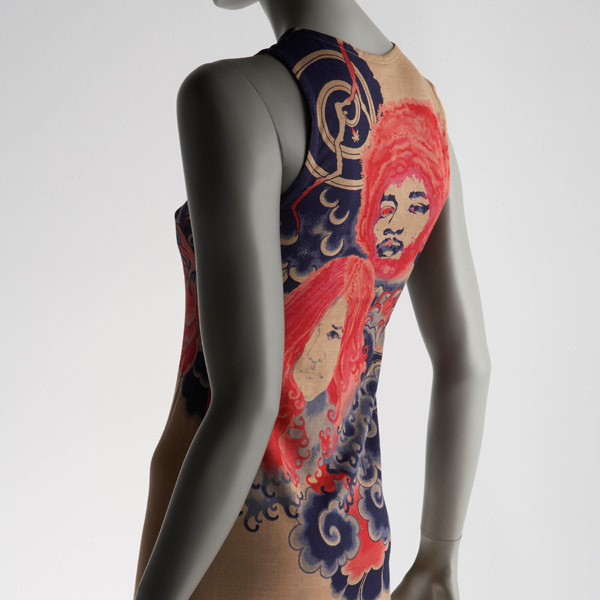 Rhodes' strong personality, which we can see from her works as well as from her personal style, known for her flashy hair styles and make-up, was an agglomeration of diverse elements of popular cultures that were transmitted to the world from London in those days, including hippieism, glam-rock, and dance culture. 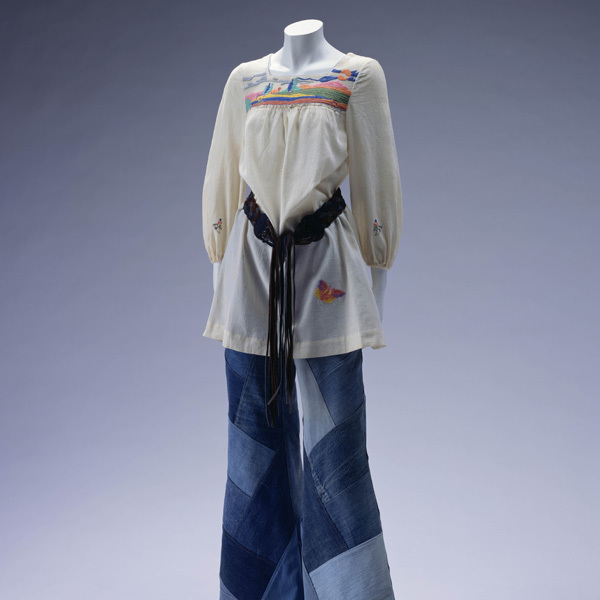 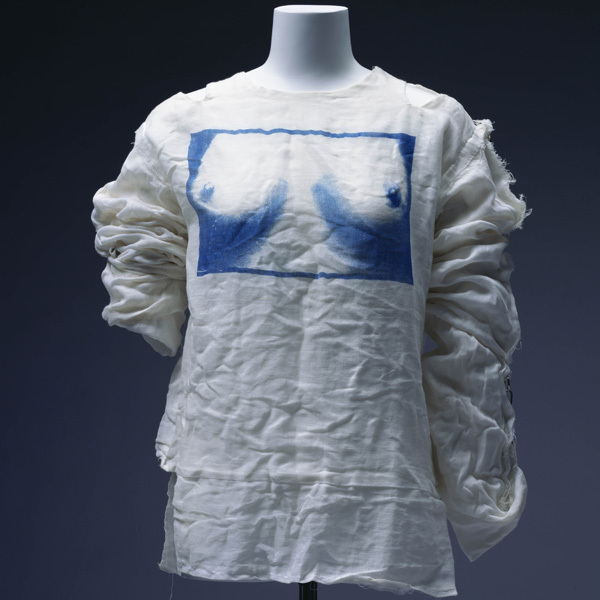 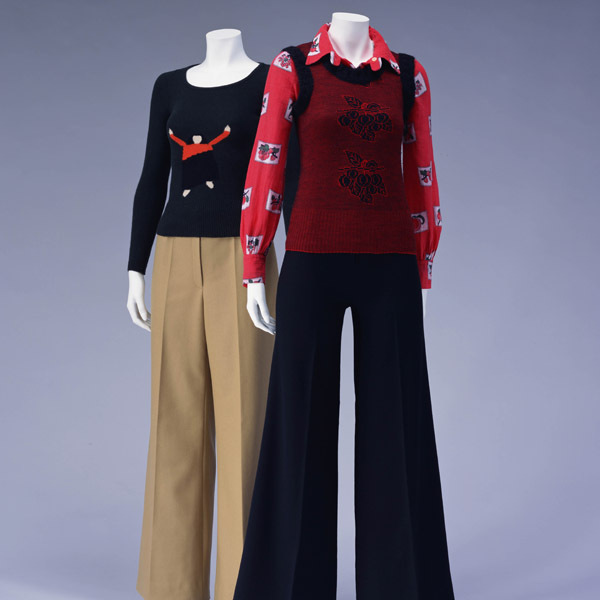 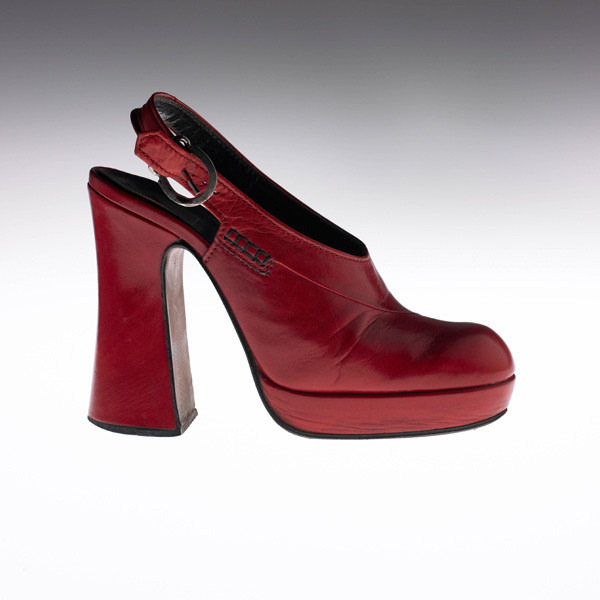 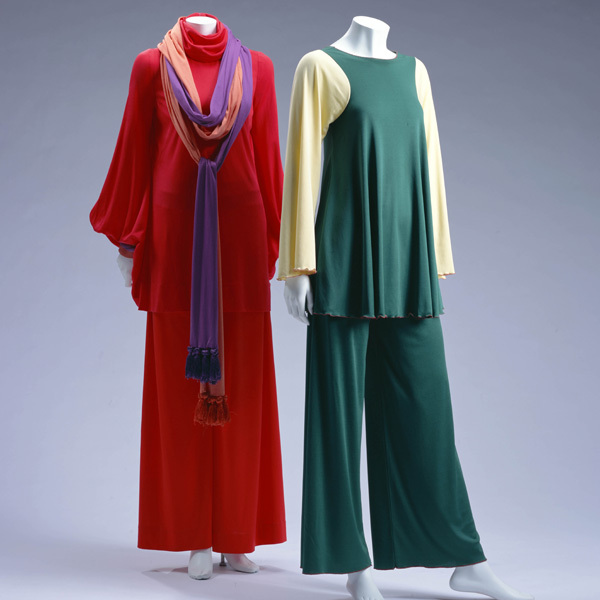 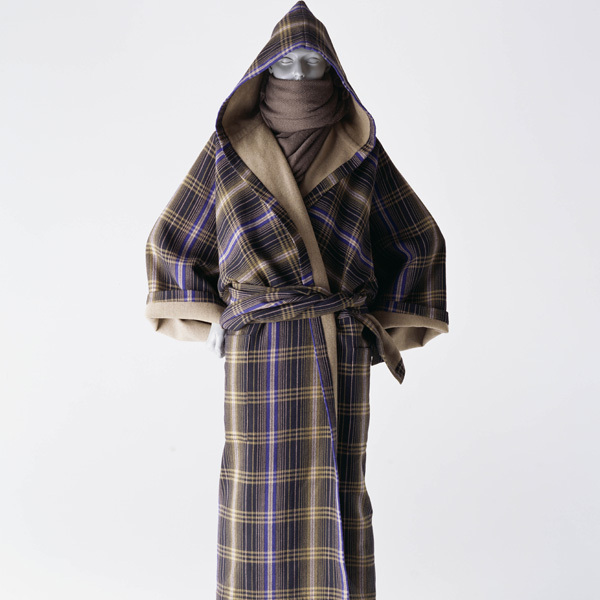 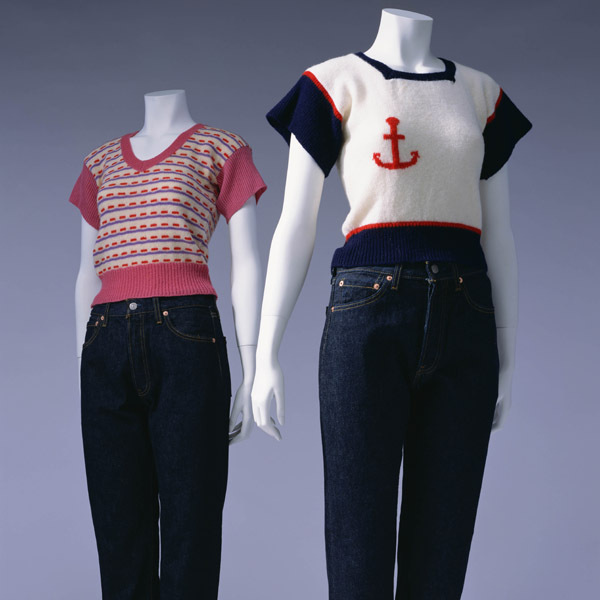 In this sense, she can be recognized as a designer embodying the spirit of the 1970s.